Russia is elaborating a new strategy for developing its ATM system, which is expected to save the industry up to 74 billion rubles ($1.28 billion) per year compared to the existing system. The country’s air traffic management provider, State ATM Corporation, told Russian Aviation Insider that an analysis of the existing system, its shortcomings and potential, and the draft strategy through to 2030 have been submitted for review. The document was drafted by Russian consultancy Strategy Partners Group, a subsidiary of Sberbank, jointly with the State Research Institute of Civil Aviation and the Higher School of Economics. Strategy Partners Group had previously assisted with the development of the corporate structures for United Aircraft Corporation and United Engine Corporation. To get the current contract, it won a tender run by State ATM Corporation. The main problems of the existing system identified by Strategy Partners Group are unoptimized routes, multiple airspace restrictions, inefficient climb and descent procedures, and largely non-existent area navigation. The report also highlights the inefficient distribution of responsibilities between the ATM provider, the Transport Ministry, and the Federal Air Transport Agency (FATA). The lack of feedback mechanisms that would enable airspace users to influence the system is mentioned as another shortcoming. 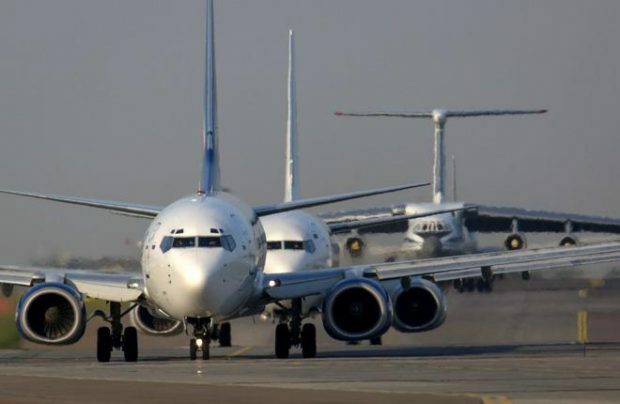 Unoptimized routes cost airlines 15-20 billion rubles annually, the experts estimate. The solution they suggested is to implement direct routes and continuous climb operations, intensify area navigation (RNAV) usage, reduce separation minima for take-offs and landings, set up ADS-B flight data exchange, introduce remote ATM, and enable airspace users to participate in decision-making processes. The strategy authors estimate that it will help reduce average aircraft deviations from the great circle path from the current 3.5% to 1.5% by 2030 (in Europe and the US, the figure currently stands at 2.9% and 2.8%, respectively). The average additional flight time within a radius of 185 km of the destination airport is expected to go down from 12.7 to 7.9 minutes (it is currently 2.9 minutes in Europe and 2.5 minutes in the US). Also, the costs of maintaining ground navigation equipment per one hour of IFR flight time would be reduced from 5,200 to 3,100 rubles. In financial terms, improvements to the air navigation system are expected to save airlines up to 40 billion rubles thanks to reduced fuel burn and shorter turnaround times. The cumulative effect for the industry is estimated at 74 million rubles per year. Vedomosti daily reports that implementing the new strategy will cost 210 billion rubles, out of which sum 80 million will be required for restructuring the Moscow aviation cluster alone. The new strategy also implies amendments to the effective regulations. The report is currently being studied by a dedicated working group under the governmental commission on transport. The next stage of the process is scheduled for late October. After the strategy has passed all the hearing stages within the working group and the transport commission itself, it will be officially adopted by the State ATM Corporation, which will propose regulatory changes to FATA.